Taking a vacation and traveling out of state can be a wonderful adventure. But if something unexpected and difficult happens, like being arrested and charged with a DWI, you need all the help you can get from experienced DWI lawyers in your home state of Texas. Here at Scheiner Law Group, we can usually find you a lawyer outside of Texas to assist you in a DWI, DUI, OWI or OUI case. We are a team of experienced Houston attorneys who have helped many individuals get DWI charges dropped and get their driving record clean. Its best if you contact us immediately so we can get to work on your case as soon as possible to help you avoid any negative short-term or long-term consequences. DWI charges exist in every state and apply to all drivers, both in-state residents and out-of-state visitors. Due to Congressional highway funds, the legal limit of 0.08% blood alcohol concentration (BAC) levels is the same in every state. However, the charges for exceeding that limit differ from state to state. Some drivers assume that an arrest in one state will have no impact on a previous or future DWI arrest in another state, but this is not the case. You are not off the hook in your own state if you get one in another. 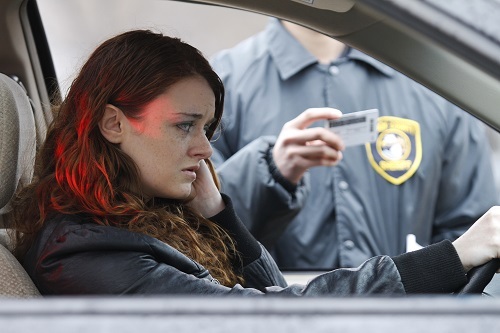 There are two reasons a state may suspend your driver’s license before your case goes to court: if your BAC was over the legal limit or you refused a test. If this happens, you have a limited time to appeal the suspension of your license, with the amount of time varying from state to state. In Texas, you generally have 15 days to ask for an administrative hearing to retain your drivers license. If you fail to get a hearing, the suspension of your license could be final and may then be reported to other states. The first and most important step is to hire a qualified DWI lawyer in Texas. At the point of your arrest or shortly after, crucial deadlines will be put into place, so time is of the essence. A competent DWI attorney can walk you through this process, which can be overwhelming from the start. Scheiner Law Group has many years of experience as a Houston DWI law firm. We fight to keep your record clean and to restore your life to normal after a charge, whether it takes place in Texas or another state. Because a Driving While Intoxicated can become a permanent part of your record, it can have long-term negative effects on your life, including being accepted into some colleges or universities and being hired for certain jobs. We would like the opportunity to defend you against all DWI charges and help you avoid the many negative consequences that can occur both now and in the future.